The immortality of Foucault’s thought makes yet another mark on English-language scholarship with the arrival of the most recent edition of his lectures. Under the Nietzsche-inspired title, “Lectures on the Will to Know,” this publication offers Foucault’s first annual lecture to the Collège de France, 1970-71. 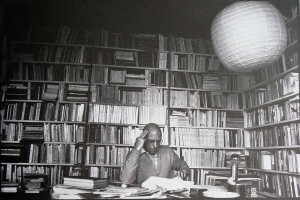 For those of you familiar with the impressive dynamism of Michel Foucault’s life work—much of which exists in English translation thanks to dedicated translators such as Graham Burchell, A. M. Sheridan Smith, Lysa Hochroth, and Catherine Porter, and to editors such as Paul Rabinow, James D. Faubion, Arnold I. Davidson, and, of course, Daniel Defert—you already know that any simple application of this French thinker’s work, or any single use to which you may put his thought, misses the mark. That is, despite the tendency for theatre and performance scholars to poach theories and concepts from other fields, Foucault’s ideas offer so much more than a one-off frame for a study of, say, disciplined bodies, or an easy citation for further reading into the paradoxes of Victorian culture. Foucault, the name and the body of work associated with it, constitutes a mode of thinking, a tactical map for grappling with the discontinuities of history. If you dive head deep into this particular body of work, as I did about nine years ago, then you might experience the wonderful sensation of discovering the art of thinking that Foucault honed over the course of a lifetime which was, in a certain sense, cut short with his early death in 1984; in another sense, however, the art of thinking he developed lives on in his work and can never die. Now, here’s a bit of information that will offer you a glimpse of how important Foucault’s work is to me and, more importantly, how excited it makes me. I visit the Palgrave-Macmillan website regularly (like, once a month) to check on the process of the upcoming publications from this lecture series. Once I see that a book is ready for publication, I order it in advance from Amazon, and I do this so that I might forget about it, and then, one day, a box arrives at my house or my office (I switch it up) and I get a wonderful surprise. This particular publication actually motivated a re-appraisal of my home library because, I mean, where do you put Foucault’s work? Philosophy? Cultural Studies? Having decided to rearrange the books in my library by subject, I had to think about Foucault’s home and who his neighbors might be. Ultimately, I settled on placing the books, the count of which is now up to twenty-five, in the “historiography” section because, again, what we’re dealing with is a method of study, a plan of attacking numerous historical conundrums, and an art that, given the discipline required to learn it, we might call martial. To me, historiography names a specific thinking practice motivated by a drive to think through, not about, the past, and I have developed this understanding thanks in large part to the work of Foucault. But why should you care about this art, this body of work, and this particular publication? The answer has to do with Aristotle and the problem(s) that the Poetics poses to scholars in our profession. 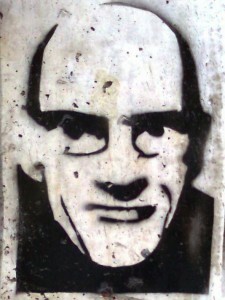 Foucault has demonstrated his appreciation and respect for classical Greek tragedy in previous works, most notably in the lectures from 19 and 26 January 1983 dedicated to Euripides’ Ion, but this appreciation appears to have existed from an early stage in his career since the 1970-71 lectures revolve around the appearance and articulation of Truth in Classical Greek tragedy. I would like to invite all of you who plan to teach classes related to or touching upon Ancient Greek tragedy to check out “Lectures on the Will to Know,” because the argument leveled there provides a model for engaging with Aristotle’s Poetics and the possibility that plays such as Oedipus Tyrannus express a worldview that the Poetics, and its subsequent uptake by theatre historians, has obscured. This scientific turn marked Aristotle as distinctly different from his teacher, Plato, and that’s important because Plato’s philosophy was certainly linked to and motivated by the theatre of Aeschylus, Sophocles, and Euripides, on the one hand, and steeped in a distinctly different sensibility from that of his student (Aristotle). – Will’s historiographical conclusion: If we study Aristotle’s Poetics as a helpful tool for understanding Ancient Greek drama, then we first have to realize that Aristotle was trying to write history in his own way through his Poetics. It appears that he was trying to invent specific rules and goals for Ancient Greek tragedy, goals that help individuals of his time achieve Truth as he (i.e., Aristotle) understood it. Now, the thrust of this argument, which Foucault does not entirely flesh out but rather leads us toward, is that Classical Greek Tragedy was a kind of performance philosophy. Through theatre, the Ancient Greeks embodied and enacted Truth, one that, should we believe Foucault, we have a hard time viewing in the present because of the Poetics. Not only is our path to this Truth blocked, but so too is our view of the performance philosophy of the Ancient Greeks blocked because the practice of their theatre has been forgotten in favor of discovering the causes and/or (political) e/affects of said practice. But don’t take my word for it. Read Foucault. 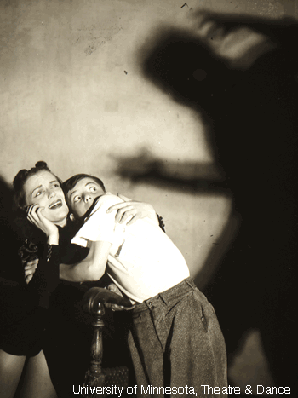 Or for that matter, read any number of the exciting books out on this topic, such as Martin Puchner’s The Drama of Ideas, the collection edited by S. E. Wilmer and Audrone Zukauskaite titled Interrogating Antigone, or Freddie Rokem’s Philosophers and Thespians. But, and here’s my point, read these alongside Foucault’s work. We should fight the temptation to limit our understanding of Foucault’s work through the constant invocation of such terms as Discipline or The History of Sexuality, and reappraise the vast body of his life’s work as, perhaps, a form of performance philosophy in its own right, one that can offer tremendous insight into the teaching of theatre historiography and the doing of historical research. Will Daddario is the Chair of the Performance and Philosophy Working Group within Performance Studies international and a core convener of Performance Philosophy. Yes, yes, yes. This is very exciting. Thanks for the heads-up.